Minnesota Rising: You're Invited: MINN Happy Hour at Salut! The Minnesota International NGO Network's second happy hour of the summer spans geographies, moving across the river to St. Paul and to the French cuisine found at Salut. 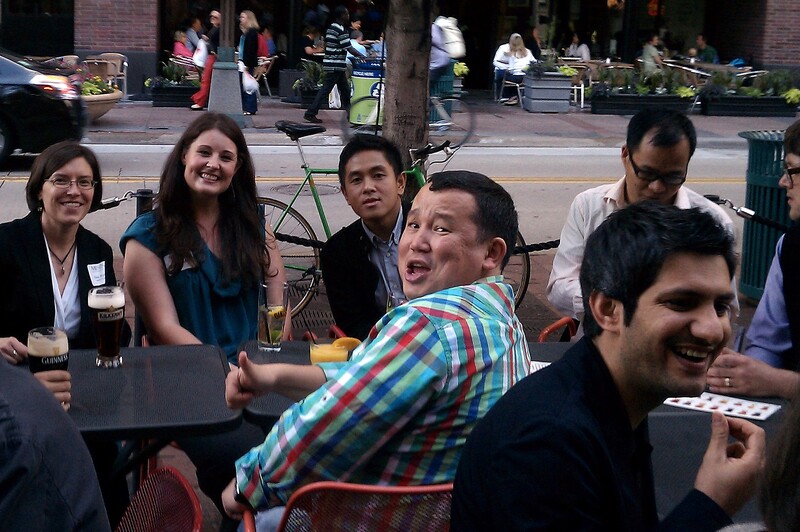 Travel with them to take advantage of our waning summer evenings and beaucoup happy hour specials. Now that the Olympics are over, you can refresh your knowledge of current events and international relations by sticking close to your local resource for all things global! It can be difficult to grasp that the summer is starting to wind down. Mornings are starting to feel more like fall than summer, the sun is setting earlier and earlier… Instead of getting bogged down in the realities of the cooler, MINN is taking advantage of the beautiful, warm summer afternoons while they're still here! Please join us for what will be a wonderful, pre-Labor Day happy hour on Monday, August 27, 2012 on the patio at Salut in St. Paul (917 Grand Ave, St. Paul 55105) from 5:30-7:30 pm. Make sure to arrive before 6 if you want to get in on a happy hour special. Parking is available in an adjacent lot, on the street, or in a ramp just 1 block east. Please check out their website for more information http://salutbaramericain.com/.